Because of the granular visibility, you can take appropriate actions. Perhaps it would make sense to contact individual users directly and see if they need further information. Or if there are many users who have not agreed to your terms, it suggests there may be a fundamental problem with the way they have been written. 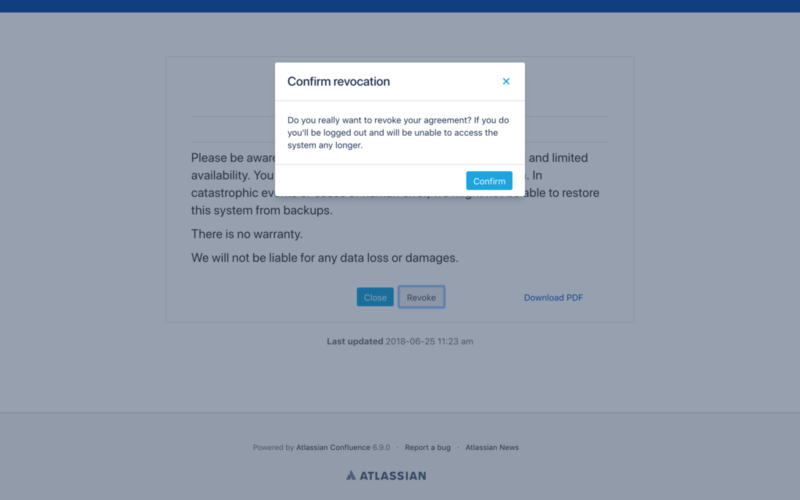 When a user revokes their consent, when they had previously agreed to the terms, they are automatically logged out and an administrator is sent a notification by email (if this is configured). 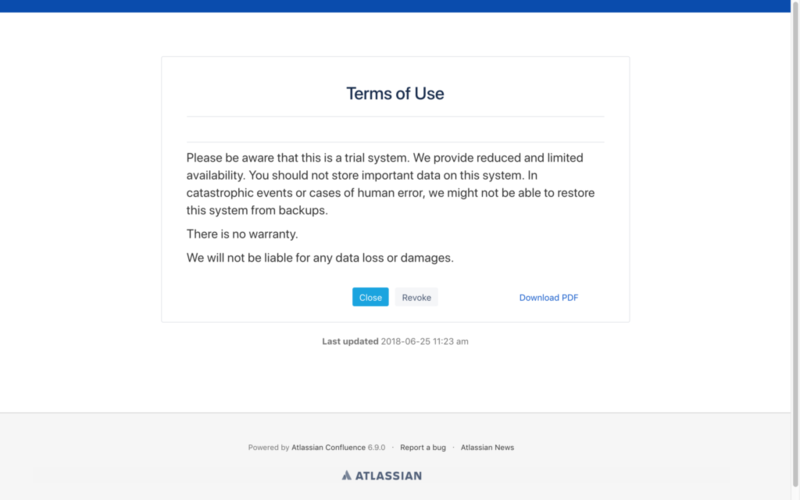 To prevent users from mistakenly revoking their consent, they will see a warning asking them to confirm they really do want to revoke their consent. That makes sure that if a user didn't actually mean to click on the Revoke button, they aren't immediately logged out of the system.